Brilliant cleansing. For long-lasting comfort. For silicone hydrogel and soft contact lenses. Sterile A. 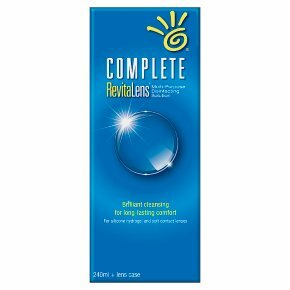 Complete RevitaLens® Multi-Purpose Disinfecting Solutions cleans, rinses, disinfects, stores, removes surface deposits, including lipids and proteins, and re-wets soft contact lenses.